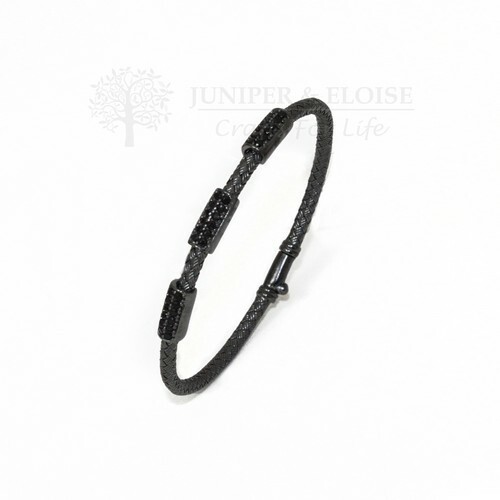 925 Silver bangle made with 4mm braided Silver and black Zircon stones. The detailed craftmanship is stunning. Bangle has magnetic clasp.